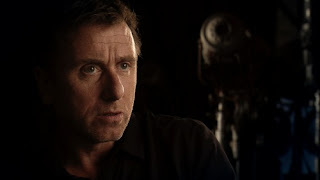 Tim Roth joins several other film luminaries in praising the work of the National Film Registry in "These Amazing Shadows." 85 percent of all movies from the silent era are lost forever. Half of all sound films made before 1950 have vanished. “These Amazing Shadows” chronicles the efforts of the National Film Registry to save these priceless works of art. Initiated in 1988, this list of all manner of film documents – more than 500 to date, added to each year – is presided over by the United States National Film Preservation Board. This fascinating and surprisingly moving film is part celebration, part detective story. Volatile nitrate film stock, so flammable that it can spontaneously combust, is ferreted out by intrepid researchers. Many times, it has deteriorated or cohered into “hockey pucks” – solid masses of matter. Those who watch “Shadows” will see feats of technological magic, and, more importantly, begin to understand how much depth and breadth there is to the American film experience. The Registry contains newsreels, silent films, experimental films, short subjects, films out of copyright protection, film serials, home movies, documentaries, independent films, television movies, and music videos. Friday, Feb. 18, at 5 p.m.